Salwa Fawaz, one of four candidates campaigning for three open seats on the Crestwood Board of Education, would only be the second Arab American on the board for a district that comprises of 70 percent Arab American students. 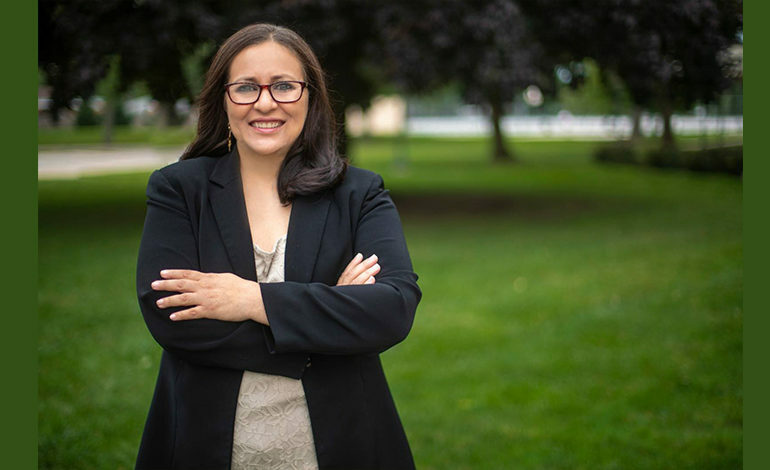 DEARBORN HEIGHTS – Salwa Fawaz, one of four candidates campaigning for three open seats on the Crestwood Board of Education, would only be the second Arab American on the board for a district that comprises of 70 percent Arab American students. The only current Arab American member is Nadia Berry, who was elected in 2016. 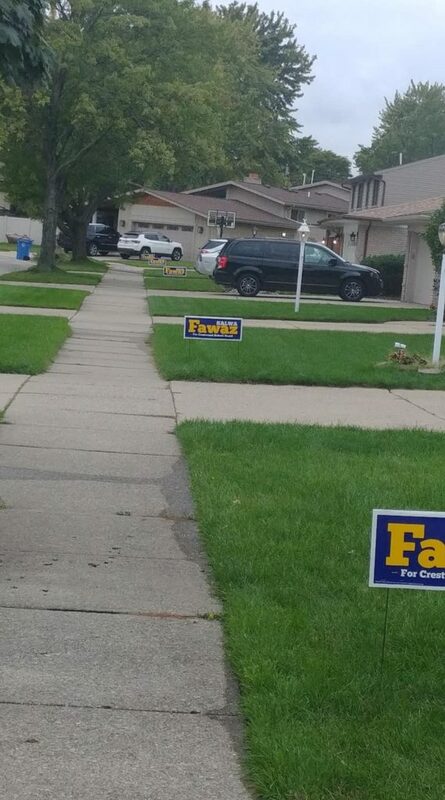 Fawaz is campaigning against incumbents Donna Ancinec, Lynne Senia and Kevin Suave. Fawaz told The AANews that her main reason for running is safety between the high schools and middle schools. She added that she knows this from firsthand experience. When she first took her child out for a doctor’s appointment, having never stepped foot in the school before because her husband did all the registering, no one challenged her. “They never even asked me for my driver’s license or anything,” she said. She added that the security at Crestwood High School is “very inconsistent” with its security measures during fights and that police are only called on some occasions. What’s more, in many situations, teachers and students stop fights, not security guards. “They act more as spectators than security guards,” she said. “Another issue for Fawaz is class size. She asked how effective an elementary school teacher would be with a class of 35 students. Fawaz would also address the budget if elected. She also said people would be appalled at some of the salaries. “Like a middle school principal making over $200,000 a year,” she said. Crestwood Schools superintendent has not been seen since June! Fawaz stated that after she pressed on why the superintendent wasn’t coming to work, the board appointed a person to do the job in the interim. Fawaz pulled her kids out of schools in the district and enrolled them at Wise Academy. She added that she’s paying top dollar for her children’s tuition at Wise and could have gone on her “merry way”, but chose to run for school board to help make changes. “So maybe at some point I can bring my children back and to make it better for the children that can’t leave this school system,” she said. She also said there has to be a diverse school board. She added that officials tried to give her the run around, but she’s a persistent person, so she make sure she stuck around for the paperwork. Fawaz’s husband, Ahmad, also told The AANews that after his wife announced her candidacy, the superintendent’s daughter quit her job at a district-run daycare facility. “We found out that she was earning $101,000,” he said. “The athletic director earns $115,000 and is the same person who got fired from another district for embezzlement,” he added. He also said the state allocated $1.3 million to the district. Of that, the school allocated $50,000 for the students and the rest for the administration. “There are severe deficiencies in the numbers because the school doesn’t keep any records,” he said. “When you actually go through the budget, you’d see that the state needs to come in and audit because there’s multiple things that do not add up,” Salwa Fawaz said. The Arab American News didn’t verify these allegations from an independent source nor it has been confirmed by the school administration. According to Bazzi of the DHCO, parents don’t get involved unless there’s a problem. “That is the issue here,” he said, adding that DHCO members will do the best they can to install the second Arab American on the board. 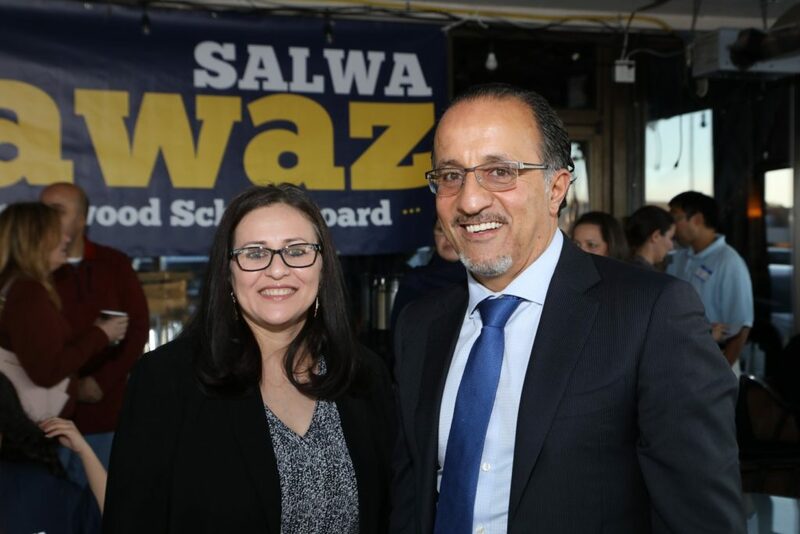 “We’re hoping as parents and as a community that Salwa comes up with a strong agenda that helps the community move forward toward a better future for our kids,” he said. 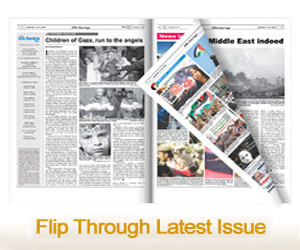 Fawaz has a bachelor’s degree in business management and administration from Walsh College. She has worked in management positions at Ford Motor Company for the last 20 years. She has also done a variety of volunteer work, including leading a team at Christmas, collecting goods and toys for children as part of Ford’s “operation good cheer”; helping to beautify the landscape at the Henry Ford Estate; working at Lighthouse of Oakland County and working with the Girl Scouts of America.